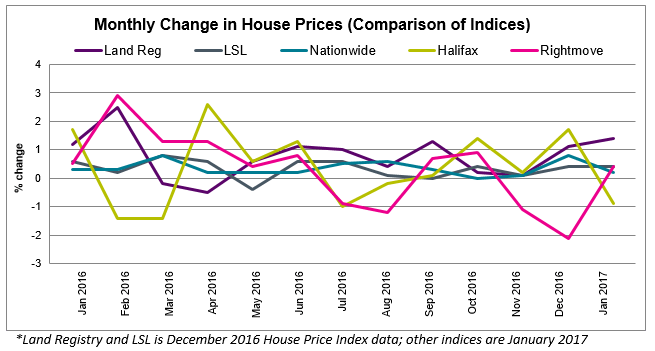 Most of the major House Price Indices report house prices to be up in the past month: -0.9% Halifax, +0.2% Nationwide, +0.4% LSL, +1.4% Land Registry (the average monthly change across Land Registry, Nationwide, Halifax and LSL is 0.3%). 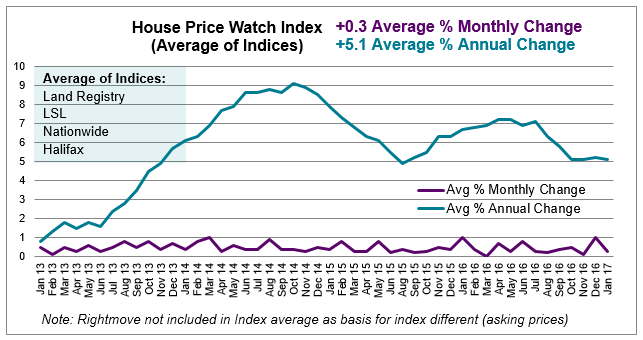 Rightmove, report a rise of 0.4% in asking prices in January. Land Registry and LSL data refers to December. All other indices are reporting January figures. UK home sales continue to rise — up 4.9% between December and January, 0.3% higher than the same month last year (HMRC seasonally adjusted figures). Mortgage approvals for house purchases, a leading indicator of completed house sales, increased for the fourth successive month, up 1% between November and December 2016 to 67,900 — the highest level since March 2016 (Bank of England). Halifax First Time Buyer review reports first-time buyer numbers up 7% in 2016 — the highest level since the start of the financial crisis in 2007 (still 17% below pre-crisis peak). Supply remains tight with RICS reporting new sales instructions down in January leaving the stock of homes available for sale further depleted. 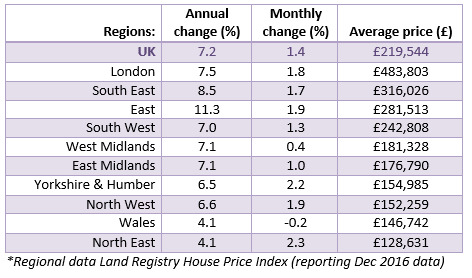 Regionally, house prices up across the board (December Land Registry data). Largest monthly rises evident in the North East and Yorkshire & Humber. 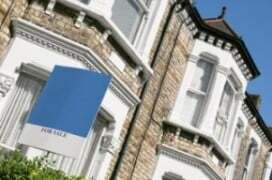 Annual house price growth highest in East of England (+11.3%) and South East (+8.5%).